With both S. Petersen’s Field Guide to Cthulhu Monsters and S. Petersen’s Field Guide to Creatures of the Dreamlands long out of print—and as suggested in the foreword, now collector’s items (in-game and out)—Chaosium, Inc. has taken both and collated them as one single hardback volume, S. Petersen’s Field Guide to Lovecraftian Horrors: A Field Observer’s Handbook of Preternatural Entities and Beings from Beyond The Wall of Sleep. Originally published as a Stretch Goal as part of the Kickstarter campaign for Call of Cthulhu, Seventh Edition, the supplement covers Azathoth and Byakhee to Tsathoggua to Yog-sothoth, Abhoth and Atlach-Nacha to Wamp and Zoog, and more, some fifty or so entries cataloguing the monsters of the Mythos and the Dreamlands. The volume is divided into two halves, one dealing with the Mythos, the other with the Dreamlands, with following the same format. There is a questionnaire for identifying the monsters of each, the answers quickly leading to an identification and a page reference. Every entry consists of a two-page spread which includes an appropriate quote from H.P. Lovecraft, followed by a description of the creature or monster and entries which in turn detail its habitat, life and habitats, and what distinguishes it from similar things. In the majority of the entries, a besuited, behatted sometimes armed, sometimes somewhat relaxed silhouette of a male figure is seen alongside smaller illustration of the monster, echoing perhaps the silhouette cutouts included with the first, second, and third edition boxed sets of Call of Cthulhu. Amusingly, the entry for the Byakhee shows this figure actively running away, being chased by the monster, so perhaps that encounter was one too many for said silhouette? This is opposite a full illustration of the entry. These are done in full colour, muscular and imposing, weird and unearthly, strange and shocking… Some of the smaller images come from the Call of Cthulhu Keeper Rulebook, but the main illustration of each entry is new. Thus S. Petersen’s Field Guide to Lovecraftian Horrors: A Field Observer’s Handbook of Preternatural Entities and Beings from Beyond The Wall of Sleep is the ‘colour supplement’ to ‘Monsters, Beasts, and Alien Gods’, the fourteenth chapter of the Call of Cthulhu Keeper Rulebook. Here, the illustrations are clearer and more fearsome, and of course, even more horrid. Plus there are no game stats to break the mood. Physically, S. Petersen’s Field Guide to Lovecraftian Horrors is a lovely hardback. It is beautifully illustrated, the imagery a worthy accompaniment to the text even thirty years on after this content first appeared. Of course, there is the question of what to do with S. Petersen’s Field Guide to Lovecraftian Horrors. Is it an in-game source? If so, then perhaps it is better suited to a setting where the entities, races, and entities have been more studiously categorised and are thus more of a known quantity and threat? Thus, the Keeper is likely to be happy with the players and their Investigators having ready access to it at the table. Is not an in-game source? Then the Keeper is less likely to want to have it at the table and to have her players readily perusing its pages lest they learn something their investigators are not ready for. Certainly, having it as an in-game resource will change the tone and feel of a Call of Cthulhu campaign. The supplement lends itself to other options though. Most obviously, as an enticement to play, to show off to prospective players of the roleplaying game some of the mysteries to be encountered in doing so. The other option is as inspiration for the Keeper. Careful reading of the fiction of this as a real-world reference work and certainly of the entries in the bibliography may serve as hooks or ideas source for the Keeper to develop into encounters with the forces of the Mythos of her own design. On the downside, this supplement is not comprehensive, it does not include every monster that has appeared in a Call of Cthulhu supplement or indeed, every entry in the Call of Cthulhu Keeper Rulebook. Nor could it, for that would result in a tome of massive proportions—and arguably, since S. Petersen’s Field Guide to Lovecraftian Horrors is a meant to be field guide, were it to be so large a book, it would be impossible to effectively use it and refer to it in the field. Instead it only touches upon the most commonly encountered creatures and monsters, although the Dreamlands entries are perhaps more obscure, being less well known. For that, the Keeper will have to wait for a second edition of the Malleus Monstrorum. Despite that, one of the most obvious entries a reader, player, Keeper, or investigator would expect to find in the pages of this supplement is an entry for Cthulhu itself, but it is not here—despite there being an entry for Star Spawn of Cthulhu. This then is most disappointing thing about S. Petersen’s Field Guide to Lovecraftian Horrors. S. Petersen’s Field Guide to Lovecraftian Horrors: A Field Observer’s Handbook of Preternatural Entities and Beings from Beyond The Wall of Sleep is a lovely reprint. 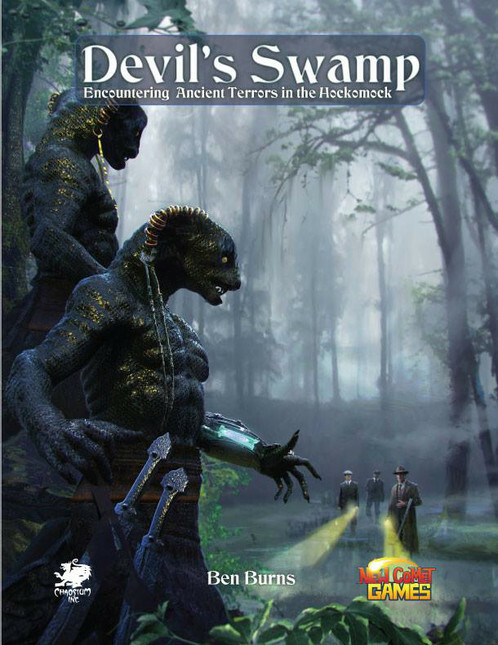 Devotees of Call of Cthulhu—old and new—who lack copies of either S. Petersen’s Field Guide to Cthulhu Monsters or S. Petersen’s Field Guide to Creatures of the Dreamlands will doubtless enjoying having access to this supplement for the first time. Veterans will appreciate it best for having the two original volumes in one and in a sturdier, prettier package. It is not essential to own this supplement in order to run Call of Cthulhu, but S. Petersen’s Field Guide to Lovecraftian Horrors: A Field Observer’s Handbook of Preternatural Entities and Beings from Beyond The Wall of Sleep is something attractive to own, sometimes to peruse, sometimes to show off, sometimes to inspire. Two centuries ago, the Aelfir—or ‘High Elves’—invaded the Spire, a mile-high tower city in the land of the Destra, the Drow, and subjugated the Dark Elves. Whether the Spire is a fossilised tree of flesh and bone, the larval form of a deity, or a vast consensual hallucination accepted by all as real, the Aelfir forced the Drow into the city’s lower levels and destroyed their temples. Where they had once worshipped all three facets of Damnou, the moon goddess, the Drow are only allowed to venerate the one, Limyé, Our Glorious Lady and the Light Side of the Moon, by their Aelfir masters. All Drow are expected to enter a four year period of indentured service, known as ‘Durance’, with the Aelfir, some hauling raw materials to the furnaces in the Works, harvesting fruit or tending algae vats in the Garden, some swathed in protective clothing against the sun in as soldiers in the Allied Defence Force, and others entering personal service of some Aelfir Lord or Lady as a personal assistant, pet, duellist, emissary, and so on. The Aelfir, creatures of great beauty and colour and magic, enjoy lives of luxury in the Spire’s higher levels and although do run the Spire or undertake great acts of art or study, most spend in the pleasure domes. Yet from amongst the drudgery and poverty of the Works and the Garden Districts has arisen a threat to this order, The Ministry of Our Hidden Mistress, or simply, the Ministry. Its members venerate the dark side of the moon, the goddess of poisons and lies, shadows and secrets, her worship outlawed on pain of death, and they are sworn to destroy and subvert the dominion of the Aelfir over the Drow and the Spire. This is the setting for Spire: The City Must Fall, a roleplaying game published by Rowan, Rook, and Decard Ltd. following a successful Kickstarter campaign. It is a roleplaying game of secrets and lies, trust and betrayal, violence and subversion, conspiracy and consequences, and of committing black deeds for a good cause. 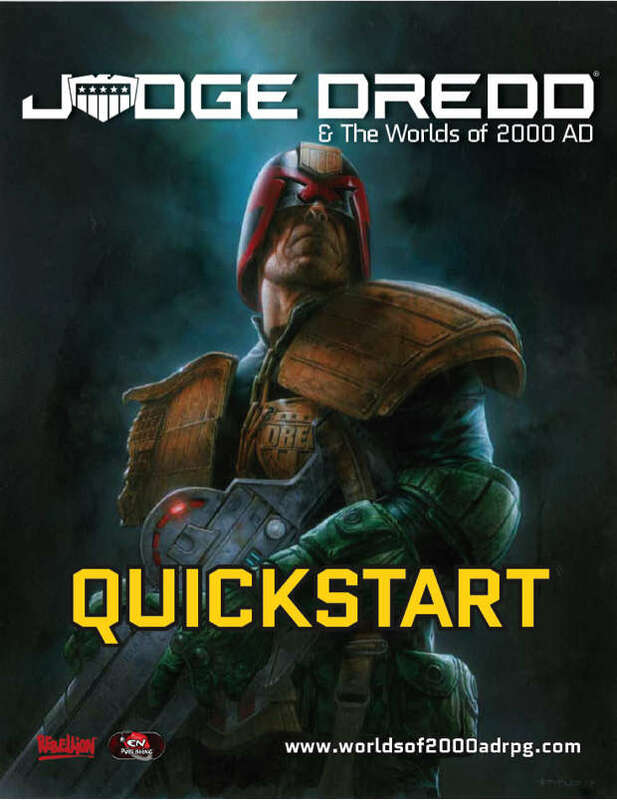 It is for want of a better description, a roleplaying game of fantasy- or Elf-punk, one which combines Mervyn Peake’s Gormenghast with Gareth Evans’ The Raid, William Gibson’s Neuromancer with the television series, Peaky Blinders, and China Mieville’s Perdido Street Station with Blade Runner. There is technology and there is magic, but neither influence the ‘Punk’, the attitude of the Spire’s protagonists, who are rising up from the streets as the cell of a rebel movement to overthrow their High Elf masters. It is these protagonists that the players will roleplay, Drow who have completed their Durance and who in the eyes of the state have joined an illegal organisation and engaged in an outlawed practice. They are resistance fighters with a righteous cause, but to the state, they are rebels, criminals, and worse, terrorists. The question is, how far will they go to bring about the change they desire, what acts will they commit, and what are the likely consequences? In comparison to other roleplaying games, the fantasy of Spire: The City Must Fall is a low fantasy. Divine magic, the magic learned from the church or temple is weak compared to occult magic, but occult magic is potent, unreliable, and likely to fry your brain, whilst magic items are rare. Similarly, there are no monsters—both protagonists and antagonists are people, although the protagonists are Drow, whereas the antagonists might be Drow, Aelfir, or Humans. Also, there are morality mechanics, rather the morality comes the choices that the player characters make and the actions they take, all of which take place within the urban and industrial confines of the Spire. A character in Spire: The City Must Fall is defined by his Durance, what he did before being recruited by the Ministry, and his Class, what he does now. Together, these grant Skills, Domains, Abilities, Resistances, and Bonds. Skills are what he can do such as Compel, Fight, or Steal, whilst Domains are areas of knowledge and expertise like Crime, High Society, or Religion. Abilities are things a Player Character can do granted by a Class, such as the ‘Cut a Deal’ of the mercantile Azurite Class, some granted by the Class, others a player must select. Resistances—Blood, Mind, Silver (money), Shadow (secrecy), and Reputation—represent a character’s capacity to withstand Stress in particular categories. Suffer too much and a Player Character will be subject to fallout, which can be Minor, Moderate, or Severe. Whilst fallout reduces a character’s Stress from a particular Resistance, it has consequences. For example, a Minor Fallout for a character’s Reputation might be that he tells a lie which will cause a problem later on, whilst a Moderate Fallout for Blood could be a broken arm. Bonds are connections to NPCs who can help or hinder a player character and if they suffer Stress, then the potential Fallout will affect the relationship. To create a character, a player selects a Durance and a Class. From the Class a player needs to choose two Low Advances—essentially two minor improvements to the character, pick some equipment, and name some Bonds. The Durances range from Acolyte and Agent to Sage and Spy, options are included should a Drow manage to have avoided his Durance. The Classes include the Azurite, wheel-dealer and hustler; the Bound, acrobatic vigilante; the Carrion-Priest, heretical death-worshippers who believe that the dead should be eaten by holy hyenas to ensure the safety of their solus; the Firebrand, rabble-rousing revolutionary; the Idol, artist-sorcerer and revolutionary; the Knight, ancient order fallen into criminal dishonour; the Lajhan, priests of Our Glorious Lady, the Light Side of the Moon; the Masked, who know the ways of Aelfir society at the top of the Spire; the Midwife, arachnid defenders of the Drow who tender to their young; and the Vermissian Sage, Drow historians who hide their research in an abandoned, non-Euclidean, maze-like, mass transport network that runs throughout the Spire. All eight Classes are interesting and nicely pull each character type into the setting of the Spire. Our sample character is Yashek. He served his four years as a scribe and then sage to an Aelfir lord who was attempting to write a history of the Drow. His own researches eventually lead him to the strange network of tunnels and corridors beyond and inside the Spire and to learning some Occult magic. 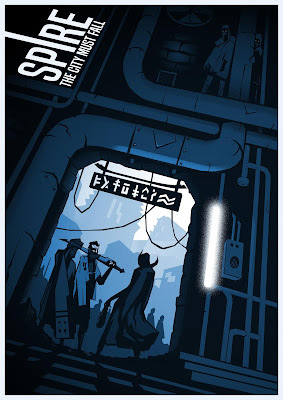 It is interesting to note that Spire: The City Must Fall there is no experience point system. Instead, player characters are rewarded for making a change—for good or ill. Make a small change and a character will gain a Low advance, make a moderate change and he can choose a Medium advance, and so on. What you have here then, is an experience system driven by the ends not the means, the narrative rather than the mechanics. Mechanically, Spire: The City Must Fall uses dice pools of ten-sided dice. Whenever a character wants to undertake an action, his player rolls a ten-sided die. A result of a one is a critical failure, two to five is a failure, six and seven is a success at a cost, eight and nine a success, and ten is a critical success. A player can add more dice to the roll if his character has an appropriate Skill, Domain, or Mastery over the Skill or Domain. For example, Yashek’s would only roll one ten-sided in combat because he does not have the Fight skill; two dice for Yashek to persuade someone using the Compel skill; and three dice if he was attempting to mend a scanning device using the Fix skill and the Technology domain. No more than four dice can be rolled for an action and only the highest counts. The Game Master can adjust the difficulty by removing one or two dice from a player’s dice pool. Unless a player rolls eight or more, the result of an action will inflict Stress upon the Player Character, the type depending upon the nature of the action—the more stressful the situation, the greater the die type the Game Master rolls to determine the Stress suffered. For example, using Compel to persuade a watch patrol to let you go might inflict Minor Stress or a three-sided die, Moderate Stress or a six-sided die if the watch captain is present, or Severe Stress or an eight-sided die if the watch commander is involved. Taking Stress can result in a character Fallout, actual consequences of his actions. In some situations though, a character can withstand Stress because of a high Resistance. So a character with a high Blood Resistance is tough or can parry blows; a high Mind indicates strength of will; a high Silver is wealth and resources; a Shadow is a good cover or well-kept secrets; and a Reputation is good standing with a group. Some equipment, such as armour for Blood, can enhance a Resistance. Once a character starts taking Stress, the Game Master keeps track of both the type and the total for all of a character’s Stress. If she rolls under that total on a ten-sided die, then the character loses Stress, but gains Fallout, effectively injuring something related to the Resistance. It is also possible to remove Stress by laying low—but essentially, this takes the character out of the story for a scene; by using a Class Refresh Action; or by undertaking an action that remove stress, for example, borrowing money to reduce Silver Stress or going to a doctor to reduce Blood Stress. For example, Yashek borrowed a scanner from the Vault without permission, but it got broken on a mission. He needs to repair it before he can return it. His player rolls three dice—one plus one each for Yashek’s Fix Skill and Technology Domain. He rolls 1, 4, and 6. The highest result is a six, meaning that he succeeds, but at a cost. The Game Master rolls a three-sided die for Stress, inflicting three points of Stress. The Game Master now rolls for Fallout and rolls a one, indicating a Minor Fallout and a reduction his Reputation Stress by three points. Since this is against Yashek’s Reputation, the Game Master decides that this will result in his committing a Lie about how the device got damaged. Both Combat and Magic—whether Divine or Occult—uses the same mechanics, the Stress from their outcomes will primarily affect the Blood Resistance or the Mind Resistance respectively. The magic itself is represented by various Class abilities and advances, rather than a separate set of mechanics. Similarly, Bonds can also suffer Stress, so a Player Character’s connection can degrade too. Overall, the fact that Fallout is rolled against a Player Character’s total Stress means that the mechanics in Spire: The City Must Fall have a really brutal feel to them (though alternative rules are provided should a group decide they are too brutal). The players will need to move carefully if their characters are to avoid accumulating Stress, but as stories and plots ramp up, the more their actions should have consequences and the greater the Stress involved. A good two fifths of Spire: The City Must Fall is devoted to the setting and background the tower city. What is interesting about the descriptions is that they are tied thematically to several of the Domains—Academia, Commerce, Crime, High Society, Low Society, Occult, Order, and Religion, though not Technology. The districts and factions related to these domains are rich in detail and hooks for the Game Master to build her campaign around. There is a lot here for the Game Master to bring out and the density of the material may be a hindrance for the Game Master in setting up her campaign. That said, there is good advice for the Game Master on how to run Spire: The City Must Fall. 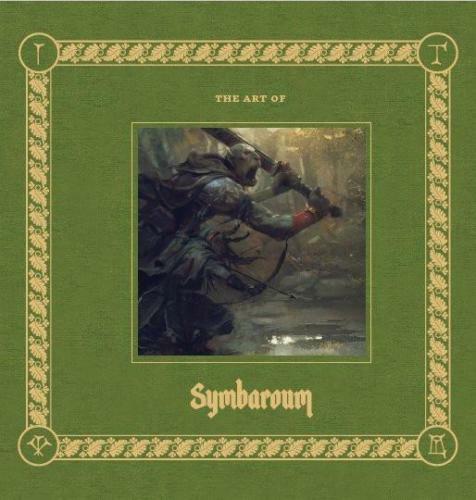 This includes general advice as well as examining the game’s themes and in turn, the three stages of a revolution in the Spire—the Gathering Storm, the Strike, and the Aftermath. 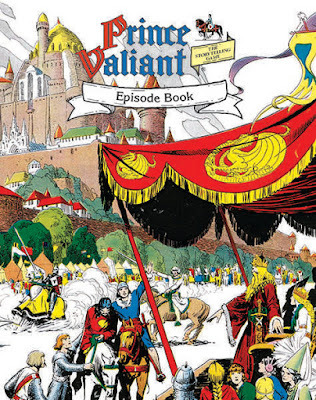 It also includes a discussion of what makes a good villain and how to make the city the Game Master’s own. A nice touch that it examines what players are expecting when they select a particular Class. It is followed by seven appendices, in turn describing the new gods and cults to be found in the Spire, giving tables of random events and things, providing a Drow glossary, describing the ‘Rumoured Goats of Spire’(!? ), hinting at the arcologies of ancient race known as the Prokatos to be found far beyond the walls of Spire, adding tables of antagonists, and listing suggested media. The contents of the latter is helpful to get the feel and tone of Spire: The City Must Fall beyond the rich description given earlier. Physically, Spire: The City Must Fall is an attractive hardback, cleanly laid out and sturdily illustrated in an imposing style. The writing is also enjoyable, but not always clear where it needs to be. For example, it is not readily apparent that the mechanics are primarily player facing, that is, the players do the majority of rolling the dice with the Game Master only really rolling for Fallout and its effects. Which very much changes how the game is run by the Game Master. What is also missing is a starting point for the player characters and their revolution, is an easy hook to get a campaign begun. Now, arguably Spire: The City Must Fall is not designed to played or run by players or Game Masters new to roleplaying, but that starting point would nevertheless have been useful. Spire: The City Must Fall inverts traditional fantasy, making the traditional enemy in fantasy—the Drow—into the victim. It makes the enlightened golden boys of fantasy—the High Elves—into the enemy. Yet, it does not make the Drow the heroes, freedom fighters with whom we can easily identify with. Rather, it pushes them towards ends justifying the means and into a moral grey area where they might actually be the terrorists that their Aelfir subjugators claim them to be. Spire: The City Must Fall is a superb dark fantasy roleplaying game where the overthrow of the state is ultimately attainable and good, but the consequences of the actions taken to get there are the point of playing. Following a successful Kickstarter campaign, in 2017, Dark Cult Games published The Star on the Shore, an attempt to write a sandbox for Call of Cthulhu, Seventh Edition. The resulting scenario was not without potential, but was ultimately undone by a lack of development and editing which got in the way of the Keeper actually running it. Now following a rebranding as New Comet Games, the publisher has returned with Devil’s Swamp – Encountering Ancient Terrors in the Hockomock, its second scenario for Call of Cthulhu, Seventh Edition. Devil’s Swamp – Encountering Ancient Terrors in the Hockomock consists of eight scenarios, which will present mystery after mystery that will again and again draw the investigators into Hockomock Swamp abutting the town of Bridegewater in south east Massachusetts. It opens with a set of encounters to be rolled for whenever the investigators are in the swamp and a description of various establishments in and around Bridgewater. Each of the thirteen locations detailed, from the Bridgewater Public Library and the Coroner’s Office to the Train Station and both of the town’s newspapers, is given a slightly odd box of text. It is difficult to determine whether these are sections of prose to be read out to the players or reminders for the Keeper’s benefit because their text wanders back and forth between information which would be obvious at first sight of the establishments and information which would only readily apparent should someone enter and interact with the owners or the staff. The description of the town is accompanied by a pair of maps, one for the players and their investigators, of the town, and similarly, there is also a similar pair of maps of Hockomock Swamp. All but three of the eight scenarios in Devil’s Swamp are written by Ben Burns. The anthology opens with his first, ‘Lost’, in which a twelve-year old boy has gone missing in the swamp. Locating him will be hampered by some strange encounters in the swamp and recalcitrant parents, but help comes from a decidedly strange quarter. Accepting this help is really the only method to resolving the scenario, which involves an ophidian twist upon the changeling myth. It also sets up an NPC or two who could be of use to the investigators, though one of these will not reappear in the collection until much, much later. ‘Lost’ is a straightforward and linear affair which lacks a hook to get the investigators involved unless they happen to be in Bridgewater. Similarly, Christopher Smith Adair’s ‘Deeper Than Skin’ has no hook unless the investigators happen to be in Bridgewater and good terms with the town’s lackadaisical police department, which would rather have them investigate the circumstances of a death than have its officers do it. The body is that of the town banker and clues point to his wife, recently sent to the Danvers State Hospital, and her circle of friends, and then to a local spa which they frequented. Although this ultimately involves fighting monsters, there is a lovely genteel feel to the scenario combined with some refreshing ideas. More youngsters in peril are the subject in ‘Where the Spirits Dwell’ by Ben Burns, when the town is beset by a rash of suicides. This brings legends of the Wompanoag tribe to the fore and the investigators will probably need to enlist their help in stopping the menace. Again a straightforward enough scenario, it is followed by the more complex ‘Canned Articles’. Written by Brian Courtemanche, veteran players of Call of Cthulhu are likely to recognise the Mythos entity involved, the scenario being about another missing person, this time a professor of anthropology whose latest writings hint at mad discoveries… This is a reasonable scenario which feels a bit stodgy in places (its own encounter table feels redundant) and could have done with a better map. Unlike the other scenarios, this is likely to have long term consequences for the investigators. A farm attacked by strange hounds again sends the investigators into the swamp in Ben Burns’ ‘Hockomock Hounds’. The clues from the farm leads back to strange goings on at the local college and of course, someone meddling with things best left alone. It is a reasonable scenario, though its ending has the potential to be confusing for the players and their investigators as well as annoying since one of them may be forced to make the ultimate sacrifice. ‘Terror in the Swamp’ is Ben Burns’ next scenario and despite feeling a bit like Stargate, is definitely the best in the anthology. Another beast is attacking farms on the edge of the swamp and whilst that it is where the threat emanates from, clues point to a case previously investigated by the Bridgewater Preservation Society. Pleasingly, there is little if any combat in the scenario and though short, presents the investigators with an interesting situation. The penultimate scenario is Jonathan Bagelman’s ‘The Recluse’. A local newspaper posts a reward for a missing journalist who went to interview a reclusive scientist who resides in the swamp. There is little investigation involved in the scenario and again, it comes down to a monster fight in what feels like a cross between Frankenstein and Grapes of Wrath. The anthology closes with Ben Burns’ ‘A Cry for Help’. Another missing person, this time a Professor at MIT with links to Nikola Tesla, again leads the investigators into the swamp. Unfortunately, the scenario has choke point, narratively and literally, which may impede the investigators’ progress and so bring both scenario and the anthology to an unsatisfying conclusion. Once past this, the scenario again ends in a fight and is probably not as interesting as it could have been. In coming to the final scenario, ‘A Cry for Help’, there is actually a callback to the very first scenario in the anthology, ‘Lost’. It is not developed though, but it is almost as if the eight scenarios in Devil’s Swamp could be run as a campaign. Unfortunately, whilst the suggestion that Devil’s Swamp can be run as a campaign is certainly a possibility, it is all but completely ignored by the authors. There is no advice to that end and whilst there are sort of hooks which can pull the investigators into exploring the strange incidents in and around Hockomock Swamp again and again, they are barely touched upon in the anthology. For example, the investigators could be students or staff at Haynes College, members of the Bridgewater Preservation Society which investigates the strangeness which seems to seep from the swamp, or they could just be residents of the town concerned at the lack of action by the local police. Any one of these would work, but it is very much left up to the Keeper to develop these because the authors have not. Further, the inclusion and discussion of any one of these would have countered the weakness of the introductions to the scenarios in this collection, which do not work if the investigators are not local to the town. Were Devil’s Swamp to be run as a campaign, it would be as a loose collection of scenarios and encounters rather than an investigation into one singular overarching threat or antagonist—essentially monster or mystery of the week rather than going up against a ‘big bad’. Arguably, Hockomock Swamp is the ‘big bad’ here, one that of course, cannot be defeated, but that is more ‘man against nature’ than ‘man against the Cosmic Horror’. What is so disappointing about this is the fact that Kickstarter explicitly states that the investigators are members of the Bridgwater Preservation Society, looking into the mysteries and situations which local law enforcement refuses to and which seems to emanate from the Hockomock. The question is, why was this not included in the final book? Physically, Devil’s Swamp – Encountering Ancient Terrors in the Hockomock is a handsome hardback. The layout is clean and tidy, though somewhat cramped in place. The artwork is a mix of the good and the merely okay, but a lot of it gets used again and again, so distracts from its impact. The maps of Hockomock Swamp and the town of Bridgewater are decent enough, but a regional map would have been useful too, especially since the investigators are likely to want to go further afield. Plus several lines of enquiry in the scenarios do take the investigators away from the Hockomock Swamp and the town of Bridgewater. Unfortunately, the writing is all too often undone by the editing, leading to two problems. One is a lot of repeated text—for example, the information about various locations such as Carson’s Outfitters and the Public Library in Bridgewater, and Danvers State Hospital elsewhere—when the Keeper could refer to the descriptions given in the write-up of the town at the start of the book. The other is a case of the Keeper sometimes having to make the connection between clues and plot in the scenarios herself and facts being revealed to the Keeper at the last minute rather than at the start of the scenario. This is in addition to details being included in one scenario and not in another. The previous scenario from the publisher, The Star on the Shore, was let down by combination of too much of a focus on making the book look good and a lack of development and editing. With its second Call of Cthulhu scenario, there are hints that New Comet Games has tried to address those issues, but unfortunately it has not been successful in that aim. In failing to achieve that aim, it has not really succeeded in creating a campaign built around a location—in this case Hockomock Swamp—either. Whilst the scenarios themselves are reasonable enough, they are not supported by either the underwritten description of the town or a campaign framework. In the hands of an experienced Keeper, there is no reason why this anthology would not work, but it would take some effort upon her part to build a campaign around them. Ultimately, Devil’s Swamp – Encountering Ancient Terrors in the Hockomock is better than The Star on the Shore, but it still needs more editing and more development time. It is a sincere wish that the third supplement for Call of Cthulhu from New Comet Games gets both. Written by Matt Forbeck—best known as the designer of the roleplaying game, Brave New World—each of the quartet focuses upon a core Class found in Dungeons & Dragons. So there is a title each involving a Cleric, a Fighter, a Rogue, and a Wizard. Each comes as a sturdy little hardback, illustrated in full colour with artwork drawn from the current version of Dungeons & Dragons, including lots and lots of monsters. Each book contains some sixty or so entries and is written for a young teenage audience, so they are suitable for those coming to Dungeons & Dragons for the first time. This does not mean that there is nothing of interest for veteran players of Dungeons & Dragons to be found in the pages of these solo adventures. Being set above, below, and across Faerûn, the protagonists of each book will have the opportunity to visit various locations familiar from both the novels set in the Forgotten Realms and the game supplements too. In Escape the Underdark, the protagonist is a Fighter. 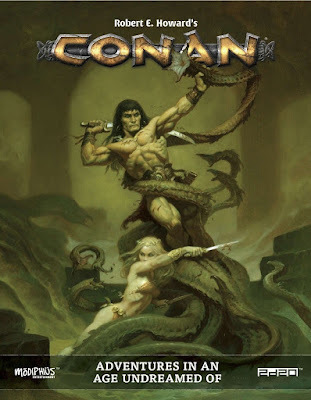 Within a page of reading the first entry, you as the Fighter find yourself duped, drugged, and chained in the Underdark. Over the next sixty entries, you will make every attempt to escape to the surface. There are two main strands to the story, one towards the great Drow city of Menzoberranzan, the other away from it. Both have diverging strands, just as you would expect, and what this means is that once you have read through the entries down the one story path, you can literally turn back to the first entry and go down the other. Along the way, you get make friends—some quite unexpected, forge and break alliances, make and break promises, go boating, get into fights, and more. There are plenty of choices to be made, some of them leading very quickly to certain death or fates worse than that. Within half an hour of cracking open the Escape the Underdark, the reader will probably have died a few times, but by going back and exploring the other lines of adventure, will probably have made their escape to the Surface too. Within an hour, a reader is likely to have explored all of the possible storylines and outcomes. Of course, it will take a little longer for a less experienced or practised reader. One issue with Escape the Underdark—and thus the Endless Quest series—is the lack of replay value. Once read through, the lack of variability that a set of rules or mechanics, means that there is no longer the challenge to be found in the book and thus a strong issue to read it again. To be fair, mechanics or rules were never a feature of the Endless Quest series and so there is no expectation that they should be in this new series. Just that in comparison with other solo adventures, they are not as sophisticated and so are suited to a younger audience. 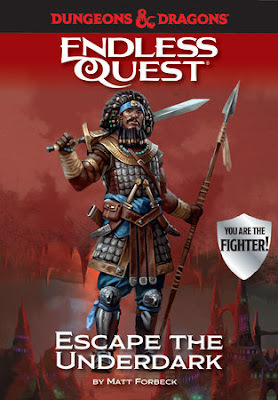 Escape the Underdark really works as an introduction to adventuring in the world of Dungeons & Dragons as much as it does the Forgotten Realms. It is a good read with some exciting scenes and includes some nice story twists that an older gamer will enjoy too. For the older the gamer there is a sense of nostalgia to Escape the Underdark, but the teenage reader and gamer there is an adventure—or few—to be had here, as well as perhaps, inspiration for when they get to the gaming table and play Dungeons & Dragons for real. The Hydra Cooperative, LLC is best known for its artfully curated and themed trilogy of scenarios set in the Hill Cantons, a world of Slavic myth, Moorcockian extradimensional intrusions, and Vancian swindlers and petty bureaucrats. They are Fever-Dreaming Marlinko: A City Adventure Supplement for Labyrinth Lord, Slumbering Ursine Dunes, and Misty Isles of the Eld. Although set in the same world, each of a quite singular nature and very different to each other in tone and feel. The latest release from The Hydra Cooperative, LLC is yet again, another scenario of a singular nature. 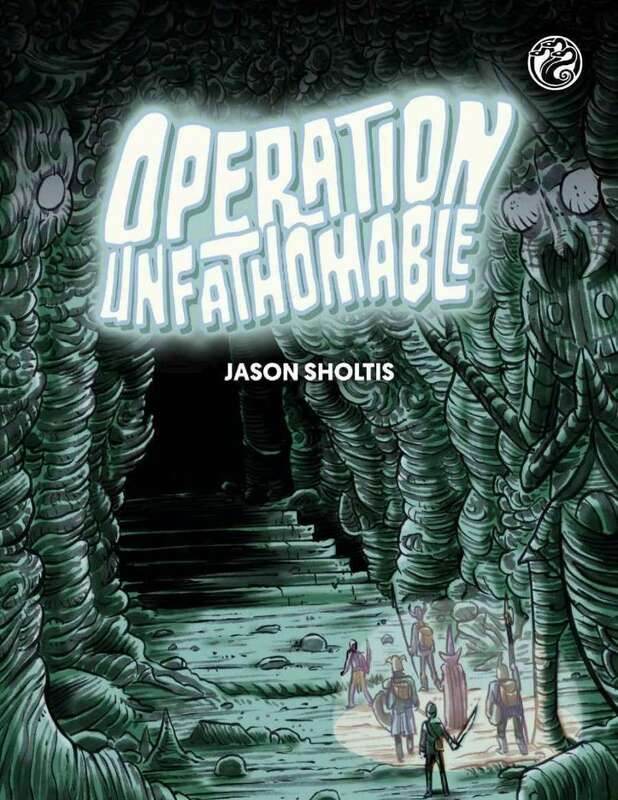 Published following a successful Kickstarter campaign, Operation Unfathomable is an adventure unlike any other, in an underworld unlike any other, and unlike any other adventure, it is one-part sandbox, one-part high Level scenario for First Level characters. Developed from a convention scenario published in Knockspell #5 and designed for use with Swords & Wizardry rather than the usual Labyrinth Lord of other Hydra Cooperative, LLC titles, the set-up for Operation Unfathomable is quite simple. The player characters are at Fort Enterprise in Stonespear Province, the northernmost outpost of the Murian Empire where they are conscripted by the local government for a mission of the utmost importance. Recently, the gallant Prince Eyraen, brave warrior son of Syantides, Sorcerer-King of Mur, led a band of men through a nearby entrance to the Underworld and descended into its depths to find and take revenge upon a minor chaos godling known as Shaggath-Ka. He has not returned and is presumed lost. Soldiers under the command of Fort Enterprise’s captain went after the prince, but they too failed to return and are presumed lost. Now it is the turn of the adventurers, for it is hoped that a smaller party, one better suited to stealth (or even diplomacy! ), might succeed where the troops failed. Not necessarily to find the probably fallen prince, but to return a great magical artefact that he stole from his father’s treasury before he left for the north. So that is that, then. On a mission they cannot refuse and equipped with the odd magical item or two, and forewarned by a map of the prince’s progress recovered from the depth, the player characters have to descend—quite literally down a thousand foot ladder—into the Underworld and go chasing after a McGuffin. And to be fair, as far as the plot is concerned, that really is all there is to Operation Unfathomable. Yet there is a whole lot more to the scenario than this all too simple plot and it all comes down to one simple idea: the journey is better than the destination. This journey is built around two, rich, meaty strands. The most obvious of the two consists of the Underworld’s encounter areas. There are barely more than twenty of these, such as a ‘Beetletown Welcome Centre and Dwellings’, long abandoned outpost of the extinct Beetle Empire with its wheezing beetle statue and strange hamster ghosts; ‘Science Fungoid Experimental’, manned by the joyfully happy Science Fungoids; and ‘Local Franchise Temple of Nul’, regional church of the Cult of the Mindless God, whose priests transform its most willing worshippers into loyal, headless antenna-necked soldiers. Each one of these locations is detailed and interesting, but where Operation Unfathomable really comes alive is with the other strand—the ‘Encounters & Other Random Weirdness’ on the ‘Master Event Table’. From this one table, a total of some forty-four entries are further divided into three sub-categories/tables, ‘Underworld Phenomena’, ‘Competing Parties & Underworld Travellers’, and ‘Wandering Horrors’. So for example, a party of adventurers might have to run lest they be engulfed in ‘Mutagenic Cloud’ and have their lips gain tentacles, they grow a Moustache of Chaos, or their blood becomes flammable; get to trade with a Slugman on a business trip, or engage in a metaphysical debate with a Woolly Neanderthal on a spirit quest; and take pity on Flaming Hounds or be boggled by the rope tricks of the Cave Swallows. The Game Master is expected to throw these encounters at her players and their characters with some regularity in order to drive the story of their Underworld excursion onwards. Intrinsic to the setting is the fight between Law and Chaos, this being more apparent in the Underworld as it is closer to the seething mass of mindless Chaos to be found at the centre of the planet. One of the new Classes, the Underworld Ranger, is tightly involved with the ongoing conflict between the two. Similarly, the need for player and player character maturity is also intrinsic to the scenario. The set-up for Operation Unfathomable is that the low level party is following in the wake of a high level party, and although the latter is still missing, presumed lost, it has cleared many of the more dangerous threats along the route marked on the players’ map. This does not mean that the player characters can wander along in the wake of the previous party’s progress, heedless of all possible danger. They will face both high-level and low-level threats, the author making no effort to create a dungeon full of balanced encounters. This gives the limited section of the Underworld described in Operation Unfathomable a naturalistic feel and consequently, the adventurers will need to know what fights to pick and what fights to avoid. This is offset though, by the number of encounters in which the monsters and persons encountered will want to engage in and encourage conversation with them. Not all of them to the player characters’ advantage, of course, but whatever their intentions, this is supported by some great NPCs for the Game Master to portray. Rounding out Operation Unfathomable is a set of seven appendices. In turn, these describe the Chaos at the heart of the world and short histories of both the Underworld and the Beetle Empire; give a description of the Cult of the Mindless God, a quartet of hirelings, and the means to bring new player characters into play; a whole new Class in the form of the Underworld Ranger, descriptions of monsters, treasures, and spells; and a set of ten pre-generated adventurers (or alternatively, a rival adventuring party). The Underworld Ranger is a member of an organisation dedicated to fighting Chaos in the Underworld who equips him with light-intensifying goggles, an anti-Chaos shortsword, and eventually a Zaracanth Industries ZR-1 ‘Dissuader’ sidearm which shoots a ball of electricity and which must be wound up between shots! The monsters range from the Two-Headed Ape Mummy and the Firebomb Beetle to the Worm Soldier and Worm Surgeon, and include the Blind Antler Man, Chaos Flies, and Bat-Winged Dwarves. Items like the Zaracanth Industries ZR-1 ‘Dissuader’ sidearm and the Science Fungoid’s Death-Ray Revolver have a Science Fantasy feel to them, but most of the Underworld’s treasures simply have a weird feel to them, like the Potion of Advantageous Decapitation which grants the imbiber’s head the ability to separate and float of on its own or the Fizzy Drink of Ocular Autonomy which lets the imbiber’s eyeballs to float off for a while… For the most part, the spells have a fairly workmanlike aspect suited to casting in the Underworld. Now it should be pointed out that some of the content from the appendices is included in a separate book, the Operation Unfathomable Player’s Guide. This gives the Underworld Ranger Class and its associated equipment as well as the various spells from Operation Unfathomable. It also includes some background for Operation Unfathomable along with the party map and some facts and tips, which are of course, thoroughly useful. It opens with an entertaining cartoon strip which depicts just a little of the oddness to the be found in the Underworld, but its primary new content consists of three new Classes not to be found in the pages of Operation Unfathomable. These Classes are the Underworld Otter, a Fighter or Thief with limited weapon use, oily fur which protects them against oozes, jellies, and the like, and an embarrassing sense of frivolity; the Woolly Neandertal, hairy Fighters with great Strength, but limited vocabulary; and the Citizen Lich, a Wizard who attempted to transform himself in a full Lich, but failed and instead became a minor Lich who is still undead and so is hard to kill, but can be Turned by a Cleric. Raise himself to high enough a Level once again and a Citizen Lich can eventually become a full Lich. It seems odd not to have three of the Classes from the Operation Unfathomable Player’s Guide in Operation Unfathomable. Nevertheless, these four Classes all suit the setting, the Underworld Ranger Class adding a Science Fantasy element, the Underworld Otter and the Woolly Neandertal adding a primal element, and the Citizen Lich adding a baroque, civilised feel. Outside of the map of the route taken by the Prince and his entourage, Operation Unfathomable is relatively limited sandbox. There are few places that a wandering party of player characters might actually go, but they are included on the Game Master’s map, even if descriptions of them are not. This is the problem if the adventurers go off piste as it leaves the Game Master to develop these locations on her own. There is certainly the feel that more needs to be written about this region of the Underworld, though the next supplement in the series will be Odious Uplands, which details the region above the Underworld. Physically, Operation Unfathomable is a striking volume. The writing is engaging—particularly the colourful commentary from Bardolph the Beer Hound, Underworld Ranger, which runs throughout the book, but also each the many encounters and the various locations. The map of the Underworld is both fantastic and fussy, perhaps a bit too fiddley to handle easily at the table. What strikes the reader first about Operation Unfathomble though, is its artwork, somewhat cartoonish, but heavy and imposing, capturing the grandeur of this section of the Underworld. Operation Unfathomable does a superb job of describing a fantastical environment of the world below as various factions attempt to take control of the area. At times it feels baroque, at times simply natural, but never, ever far from the weird, whether that is in the descriptions of the locations or of the many encounters. And although the scenario’s tone threatens to tip into out and out silliness, it never quite does. The scenario’s plot feels fresh and clever, which when combined with an underground environment detailed as never before, serves to give Operation Unfathomable a singular feel. Imagine Quentin Tarantino got together with Ralph Bakshi to make a Saturday morning cartoon in which the dirty half dozen were sent down a dungeon on a McGuffin hunt and the network refused to broadcast it because it was too weird, and that captures the feel of Operation Unfathomable.